That’s right, your good pals at CityBike are giving away five whole pairs of tickets to the Moto Bay Classic, free of charge. It’s simple: sign up for the CityBike Dispatch, and you’ll be entered to grab a pair—or win a pair, if you prefer. You gotta enter by midnight Pacific time on Sunday, August 12th. We’ll notify the winners on Monday, August 13th. What the hell is the CityBike Dispatch? In case it’s not abundantly clear, the Dispatch is our email newsletter. We just didn’t want to say, “Hey man, sign up for our newsletter,” because that doesn’t sound exciting or cool at all, and we promise you, the Dispatch is cool. Sorry, this contest has closed. But you should still sign up for the Dispatch. 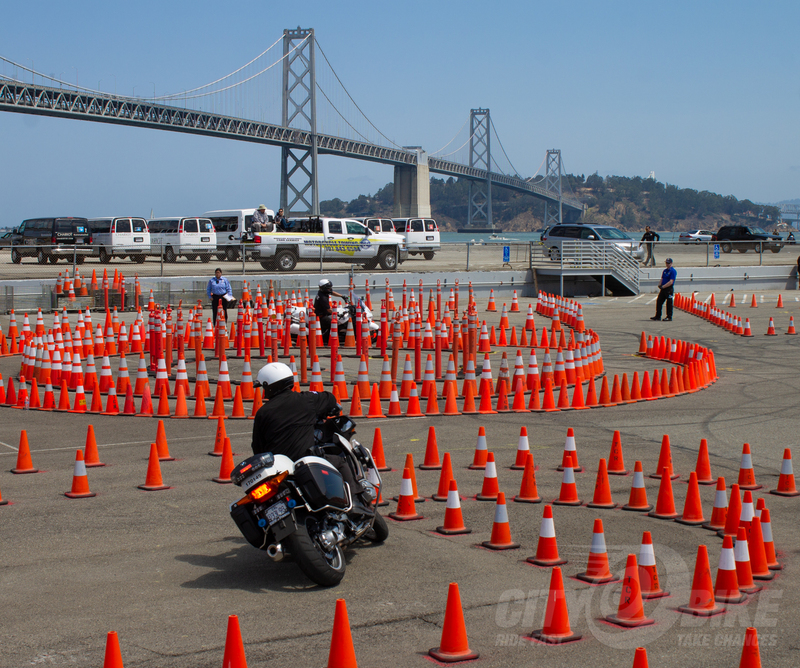 The RSD Moto Bay Classic is coming to Pier 32 in San Francisco August 16th to 18th, with the main event happening on Saturday the 18th. 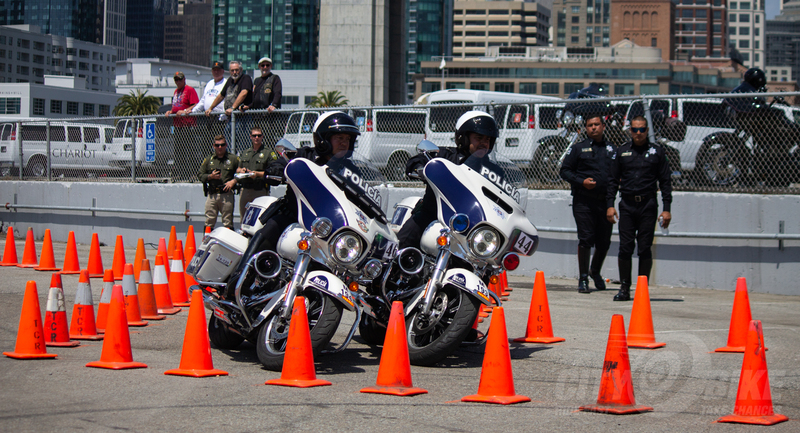 Thursday and Friday will be all about the International Police Moto Skills Competition, hosted by the San Francisco Police Department. Saturday will feature a variety of shenanigans, with Super Hooligan racing, Cops vs. Hooligans Gymkhana, a kids’ course, a stunt competition, the Architects of Inspiration Bike and Art Show and local craft beers and food trucks. They’ll be kicking out the jams on the pier too, with music from the Eagles of Death Metal and legendary punk bands TSOL and the Vandals. Most importantly, CityBike’s own Fish will be racing, and Tchell DePaepe, who shot the this year’s Calistoga Half-Mile for us, will be on hand in hopes of capturing Fish’s antics, and of course lots of other action. You can find out more about the MotoBay Classic here, including a timeline for Saturday’s good times. 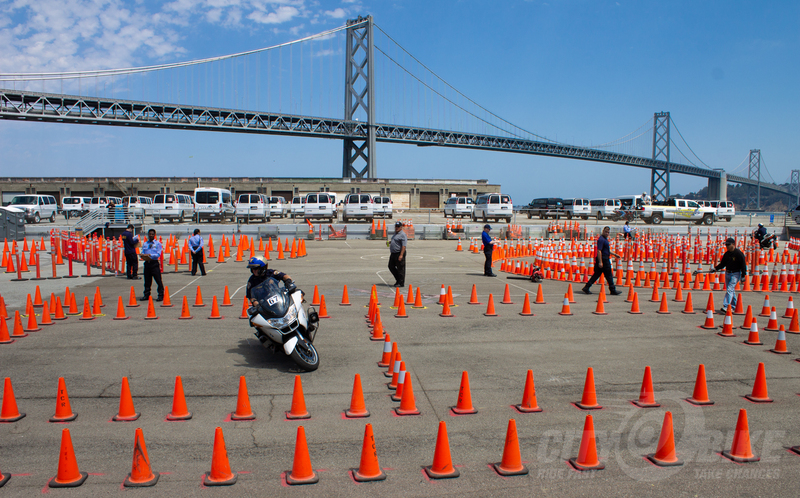 To tide you over, how about some photos from the last International Police Skills Competition in 2015?